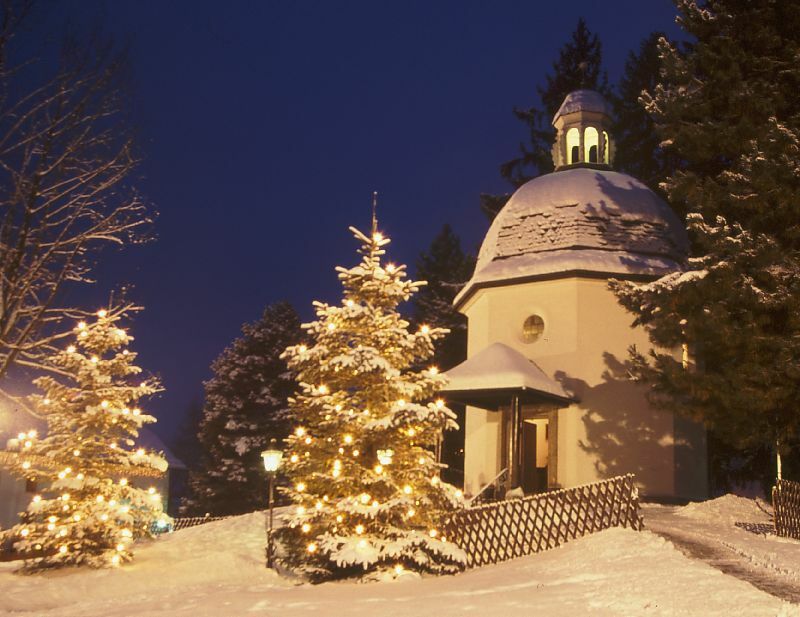 The words of the song Silent Night (Stille Nacht) were written by young priest Joseph Mohr, and the melody was composed by the local schoolmaster Franz Xaver Gruber. On Christmas Eve in 1818, the most famous Christmas carol Silent Night (Stille Nacht in the German original) was performed for the first time. This took place at the St. Nicholas parish church in the Austrian town of Oberndorf, 17 kilometers north of Mozart’s city – Salzburg. In the same direction, north of Salzburg, lies Hitler’s hometown, Braunau. Both Oberndorf and Braunau lie on the same river – Inn. The words of the song Silent Night were written by young priest Joseph Mohr, and the melody was composed by the local schoolmaster Franz Xaver Gruber. The song was originally supposed to be accompanied by a guitar, allegedly because the church organ in Oberndorf did not work on that Christmas Eve. Interestingly, the original pace was fast and lively, like dance music, while today this song is usually performed in a slow tempo.